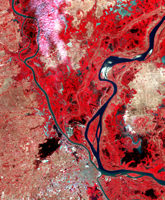 In mid-August 2011, unusually heavy rains over the upper Mekong River in Laos and Thailand led to severe flooding in Cambodia. 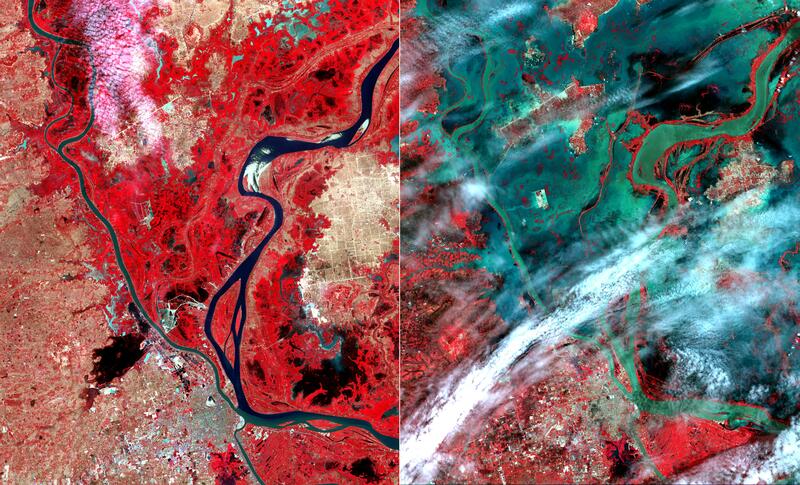 According to the Phnom Penh Post, thousands of people had been left homeless from rising flood waters. 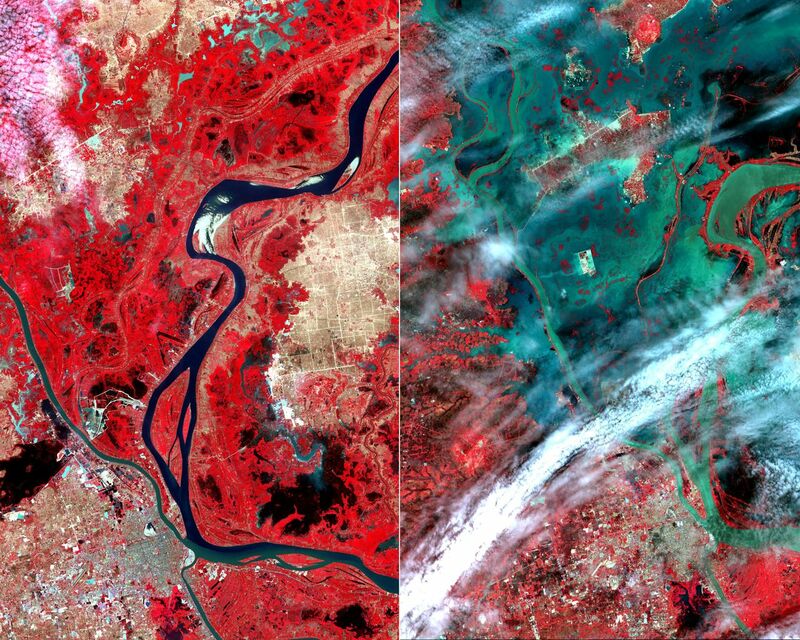 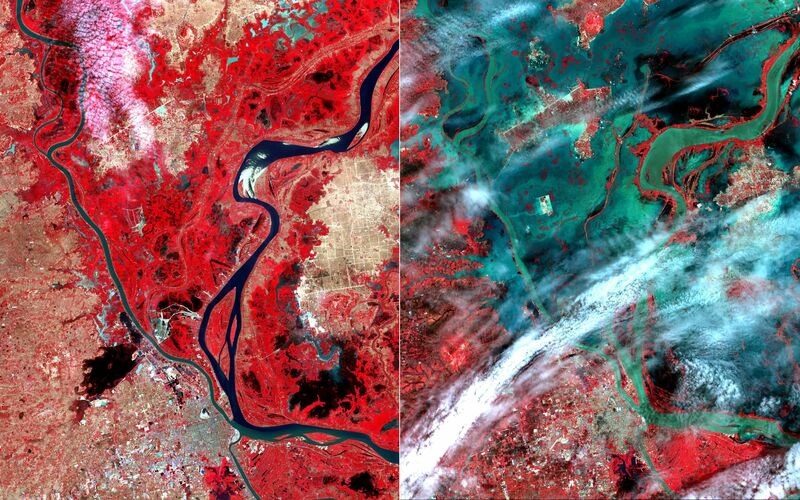 These two images from the Advanced Spaceborne Thermal Emission and Reflection Radiometer (ASTER) instrument on NASA's Terra spacecraft show the city of Phnom Penh at the bottom center of the image. 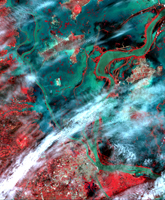 Vegetation is displayed in red, bare ground is light brown, and water is black or dark green where it is relatively clear, and green-blue where it carries large amounts of sediment. 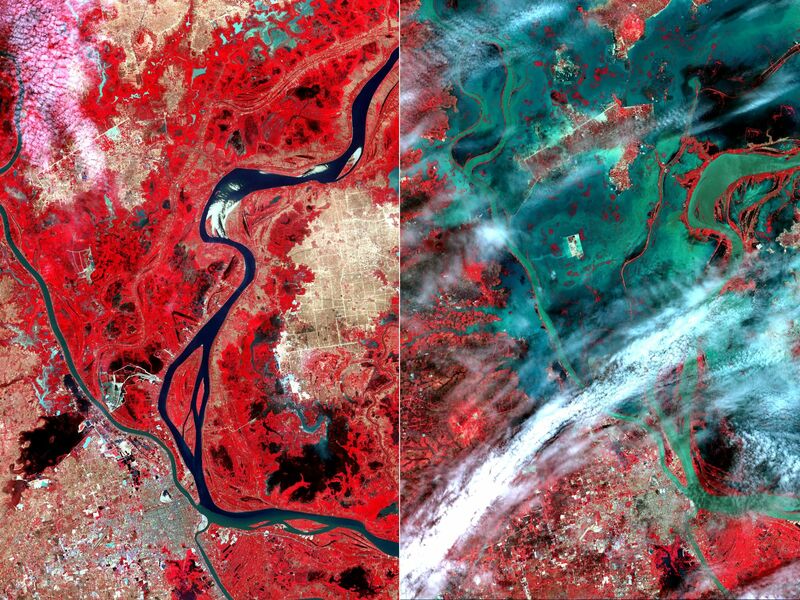 The images cover an area of 34.4 by 39 miles (55.5 by 63 kilometers), were acquired on January 28 and August 24, 2011, and are located near 11.7 degrees north latitude, 104.9 degrees east longitude.